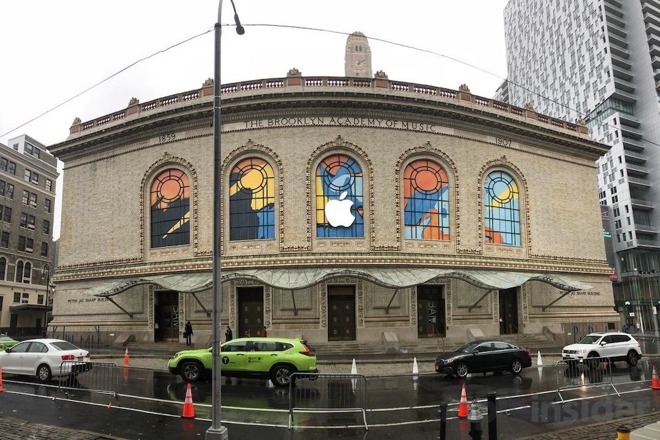 AppleInsider will be hosting its own live blog of the event, informing you about what's happening, as it happens. Apple's event, which will commence at 10 a.m. Eastern time, is expected to feature a number of product updates and refreshes that will either be available to purchase shortly after the event ends or within a few weeks. The main item expected to feature at the event is a refresh of the iPad Pro line, with the tablets thought to borrow design cues used by the iPhone X and later iPhone models. A large screen with thin bezels is anticipated, with Face ID introduced to replace Touch ID, and the ability to perform Face ID authentication in both portrait and landscape orientations. A more recent rumor is the inclusion of a second-generation Apple Pencil, which is touted to be able to "change stroke properties by sliding along the side of the Pencil." It is also tipped to offer gestures for finger taps along with the sliding motion. New Macs are also thought to be on the way, with rumors suggesting there could be a long-awaited refresh of the Mac mini on the cards. Revamped 21-inch and 27-inch iMacs are also touted, as well as a possibility of a MacBook Air redesign. Apple is offering a number of ways to view the event feed, including Twitter.